Karina's Kreations: Stamp it My Way Masculine card Challenge! Stamp it My Way Masculine card Challenge! I think we need a masculine card challenge this week. I got this cute swap card from Lou Ann Cruttenden and though it would be perfect for the challenge. Make a card with these pieces and post it to my Karinas kreations facebook page! You can email it to me too if you're not on facebook. My email is kchin2@telus.net. 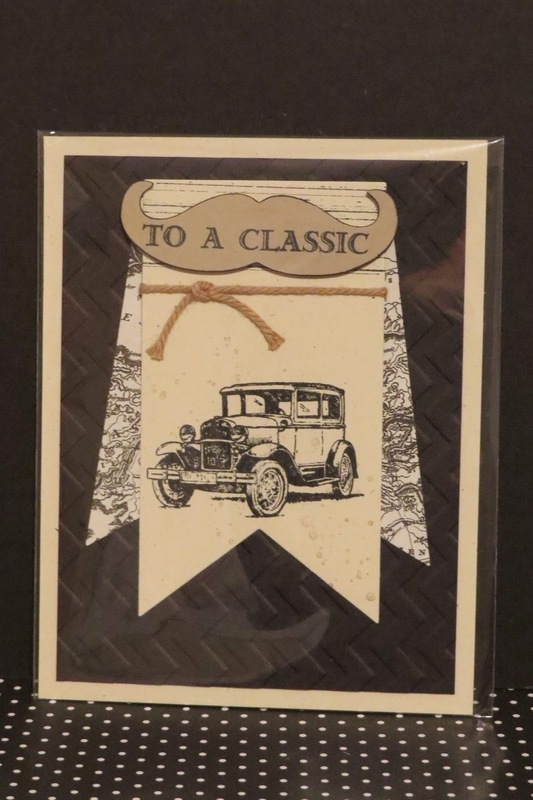 Lou Ann used the Guy Greetings stamp set, Chevron embossing Folder, Banners Framelits, Mustache Framelit and Baked Brown Sugar Thick Baker's Twine.